How much hope do you have from week to week in your cycle? Home > hormonology guide > How much hope do you have from week to week in your cycle? 02 Oct How much hope do you have from week to week in your cycle? Have you ever felt more hopeful on some days–for instance, about whether you’ll complete a project by its deadline, if you’ll ever be able to resolve a big problem you’ve been experiencing or how a class or activity you’re about to do will go? But, then on other days, you were less hopeful about how these things would turn out? Many factors can affect how much hope you have–and where you are in your monthly cycle is definitely one of them. That’s because the rise and fall of estrogen, testosterone and progesterone affects brain chemicals responsible for confidence, optimism and mood. Generally speaking, as the levels of these hormones rise in the first half of your cycle, you’re more hopeful. As they plunge in the second half, you become less hopeful. Not gonna lie–your Week 1 can start off a bit low in the hopefulness department. Menstrual cramps, period-related fatigue and low estrogen are all working against you to keep your optimism down. But, not for long! As your period peters out and estrogen rises in this week of your cycle, you’ll notice a considerable shift in your outlook: Your confidence and resilience will be lifting, which prompts you to see obstacles as challenges that can be overcome–even if it takes a little hard work. Your optimism is also on the rise, helping you see light at the end of a dark tunnel and expect that a good outcome is one very possible option. Take advantage of this parting of the clouds to take a first (or next) step in a plan to resolve a problem or jump into an activity you’ve wanted to do, but shied away from because you were worried it wouldn’t turn out well. During this phase of your cycle, estrogen continues to rise till it peaks and testosterone rises at the end of this week. This hormonal high is giving you the most hope you’ll have all cycle long as it triggers the production of more feel-good brain chemicals. While this spike in hopeful feelings is a good thing–heck, a great thing–since it motivates you to work on problems and take chances that could pay off big, there are potential pitfalls: You could end up being so overly hopeful that you expect a positive outcome when a more negative one is likely (for instance, you might convince yourself that a continually cheating mate will finally change) or you could be tempted to enter into iffy situations you’d be better off steering clear of (like going to a party in a reeeaalllly bad section of town). So, try to harness your Week 2 hopefulness for the right stuff–like pitching a project to your boss, entering your first marathon or overcoming a personal setback. And try to stop yourself from diving headfirst into the wrong stuff that has the potential for a seriously bad ending. In Week 2 of your cycle, high estrogen and testosterone raised your hopefulness to a sky-high level. Now these two hormones dip for the first few days of your Week 3–bringing down that super-confidence you enjoyed. At the same time, progesterone rises–and this is a hormone that pushes you to play it safe rather than take risks. Together, this combination can have concern and worry starting to eclipse hope. The good news? This week is what I call your “reality check” phase–you’re able to see situations, people and problems in a more realistic light than in the other weeks of your cycle. That’s because you’re not overly optimistic like you were in Week 1 and Week 2. And you’re not overly pessimistic, like you’ll be in your premenstrual Week 4. Therefore, take advantage of these days to review what you’re doing and where you’re headed–and figure out if it’s time to change directions, double-down or try something altogether different. In movies, there’s usually a moment in the third act when the hero appears to have lost everything–her boyfriend, her job, her house, her cat. And she’s thinking that absolutely nothing will ever go right again. This is the “all is lost” moment. I bring this up because during your premenstrual Week 4, you may have an “all is lost” moment of your own where you’re focused on all the negative stuff and are convinced that nothing will ever happen the way you want it to ever, ever, ever again. The reason for your intense pessimism is plunging estrogen. As the level of this hormone drops like a rock, it drags down levels of feel-good brain chemicals with it, making you see the world through a darker lens. 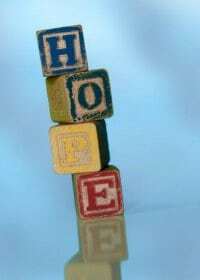 Since you can’t pop extra estrogen to make everything rosy again, what can you do to boost your hope back up where it belongs? Try talking to a friend about what you’re going through, remembering times in the past when things did go your way and making an action plan that will help increase your chances of having a good outcome rather than simply ruminating on the issue. All are easy ways to turn your attitude around so you’re more positive.